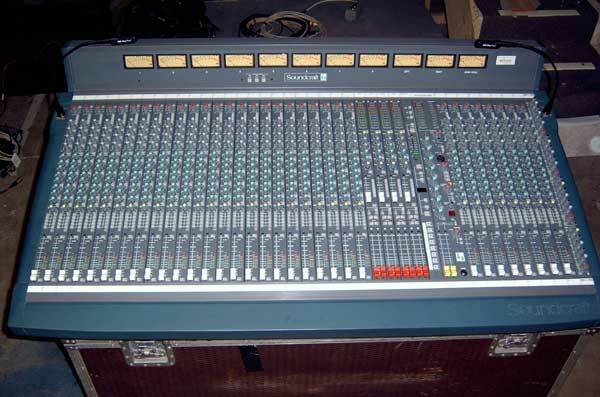 master module The Soundcraft K3 Series was developed in 1997, ostensibly as a theatre console, but is equally at home in conference or live performance. 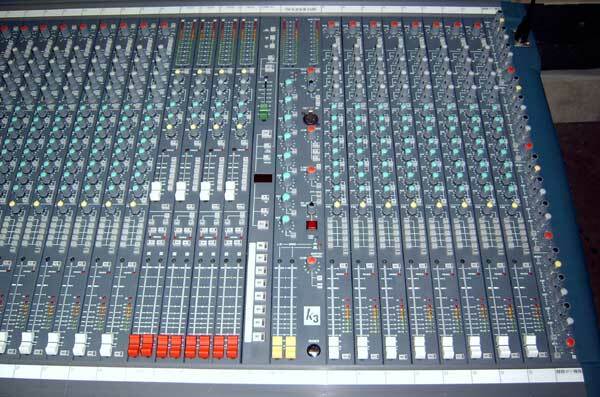 The classic Soundcraft EQ, meterbridge, 8 groups and output matrix make this a very powerful and versatile mixing desk. This particular version comprises 32 mono inputs, 8 Groups, 4 Stereo Returns, L,R and Mono Outputs, 4x4 Matrix, 8 Aux Outputs, switched pre/post in pairs. 8 Aux Sends, switched in pairs pre/post fade. 1/4" Insert Send, 1/4" Insert return across each. Master Aux Outputs on 1/4" Jack. Each group module also has a stereo effects return, adding four extra stereo line inputs with full routing and access to Aux 1&2. The inputs are 1/4" Stereo Jack. Group outputs are XLRM, plus 1/4" Send and Return. Output is controlled by 100mm fader. The MIDI/Scene Set Module allows the K3 to store 128 Scenes, which are recalled either by pressing one of the eight Mute buttons, or by selecting a scene using the 3-character LED. The module will also output programmed MIDI values when a scene is recalled, which is useful for changing Effects units. Included in this offer: 2 x CPS275 power supplies, 2 LED lamps. 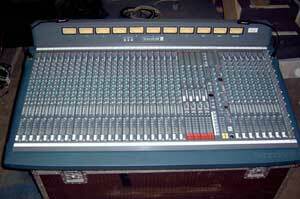 This console has had one owner from new and has not been toured - indeed, its never been out of the auditorium. Therefore, no flightcase available, but there is the original manufacturer's packing case.